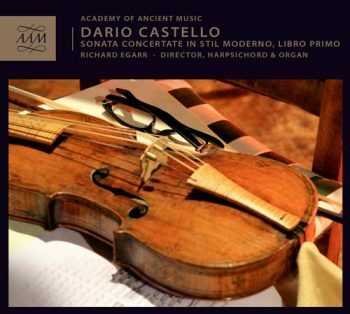 The Academy of Ancient Music explores a revolutionary period of Italian music through the work of Venetian man of mystery Dario Castello. Working at the same time as Claudio Monteverdi, Dario Castello wrote innovative and ground-breaking sonatas that had a profound effect on generations of Italian composers. Very little is known about him today, but in the 17th century he was actually more widely published than Shakespeare. 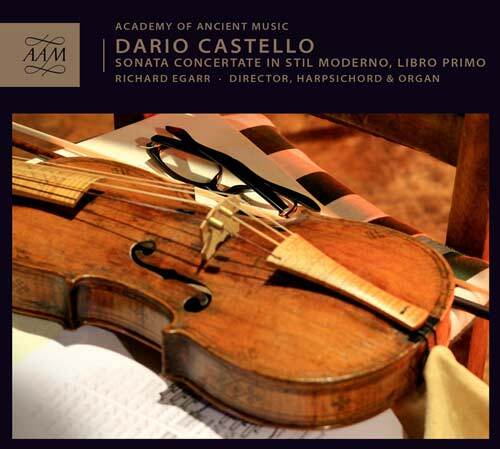 AAM Music Director Richard Egarr is a lifelong advocate of Castello, and on this recording directs the composer’s first book of sonatas from the harpsichord and organ.Taking the form of a small chamber group, the AAM finds itself at its most adventurous and expressive, performing twelve fiercely virtuosic sonatas for violin, cornetto and dulcian that are full of imagination and colour. This release – the fifth on AAM Records – follows the AAM’s critically-acclaimed series of JS Bach recordings. Their 2015 release of JS Bach’s St Matthew Passion (AAM004) was praised by BBC Music Magazine for Richard Egarr’s “compellingly original vision”, and was awarded BBC Radio 3’s Disc of the Week. JS Bach’s Orchestral Suites (AAM003) was awarded five stars by Fine Music Magazine and was described as “a feast of meaningfully understated musicianship” in an Editor’s Choice review in Gramophone magazine.